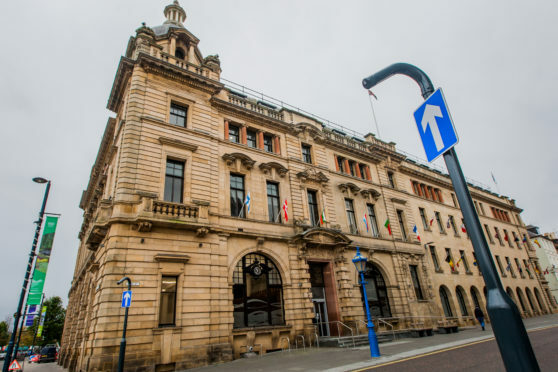 Conservative councillor Colin Stewart proposed an amendment during a debate on the deal that would have overturned an earlier decision to agree to Dundee City Council continuing in the lead role. Local authorities Dundee, Perth and Kinross, Angus and Fife work in partnership with other organisations, such as universities, on administering the £750 million boost to economic development in the region. The lead authority hosts the project management team and organises the shared HR resource. Representatives from all partners had previously agreed Dundee should continue in this role. The amendment vote – which said “Perth and Kinross Council would be best placed to take forward that deal for the region as a whole” – was only defeated after a tie meant Provost Dennis Molloy had to use his casting vote. Councillors had also expressed concerns about their ability to properly scrutinise some of the Tay Cities Region Deal spending. He said Dundee was already the default option for existing collaborations and listed five, including services firm Tayside Contracts. He said the largest share of the Tay Cities Region Deal projects fall in the Perth and Kinross local authority area. “On these grounds, the rurality of the wider city region, the current split of the hosted services, and the fact that we now know the split of projects in the deal, I humbly suggest to my fellow councillors that Perth and Kinross may be a better fit as lead authority,” he added. Speaking afterwards, he said the decision for Dundee to continue in its role had already been made at a meeting in which Perth and Kinross council had been represented. Councillor Callum Purves, a Conservative colleague of Mr Stewart who seconded the motion, said he felt it was in the council’s gift to overrule the earlier decision made in favour of Dundee. “Often collaboration can mean falling in behind what Dundee want to do. I don’t think it is anti-Dundee to suggest we should take the lead on certain projects,” he added.